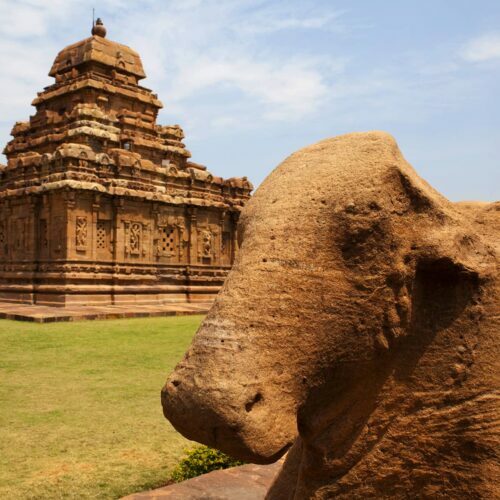 Welcome aboard The Deccan Odyssey and find yourself lost in a bygone era. Since the advent of the railways in India, train journeys have been subject of much fascination and mystery. Indian Royalty and the British aristocracy would often set out on shikaar or on celebrations, in the wilderness or deserts or mountains, travelling in the luxury of their private abode on wheels. 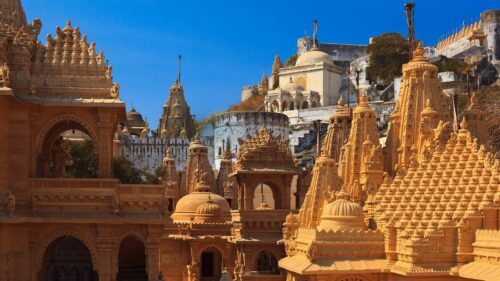 Today the Deccan Odyssey continues this legacy of princely sojourns by introducing six fascinating journeys covering the length and breath of the exotic and enchanting landscape of India. 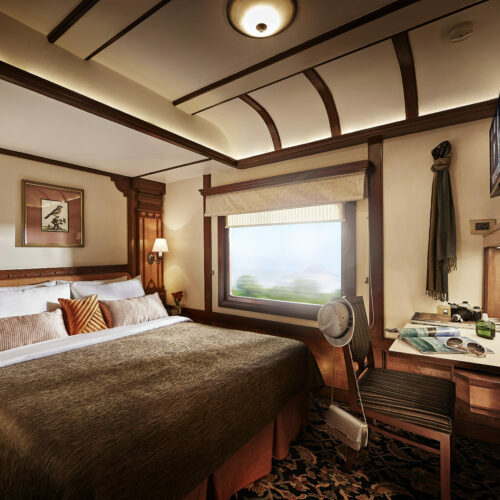 These iconic train journeys showcase world heritage sites, forts and palaces and rural landscapes, whilst travelling in comfort and style enjoy an array of cultural delights crafted exclusively for you. 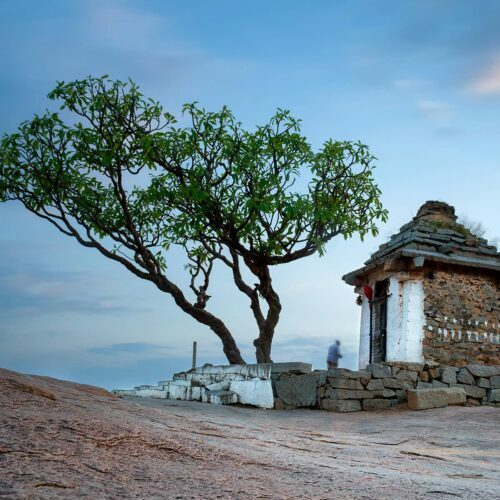 The choice of routes are largely based in and around Maharashtra but also include The Indian Odyssey taking in the highlights of Rajasthan and Hidden Treasures of Gujarat which includes Sasan Gir, the Little Rann of Kutch and Vadodara, the ideal way to explore this untouched state. 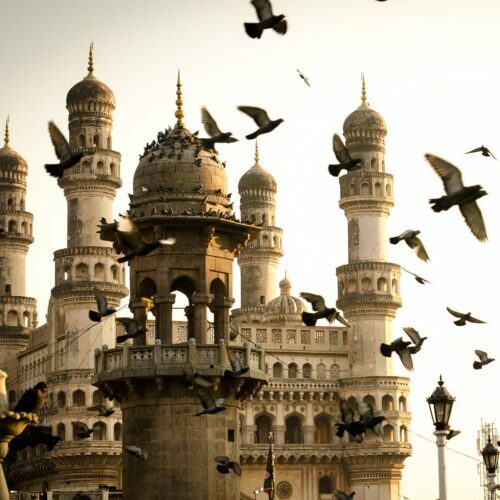 Embark on The Jewels of the Deccan and discover the amazing sites of Hampi, Bijapur, Pattadakal and Hyderabad. Each journey is 7 nights and 8 days in duration. 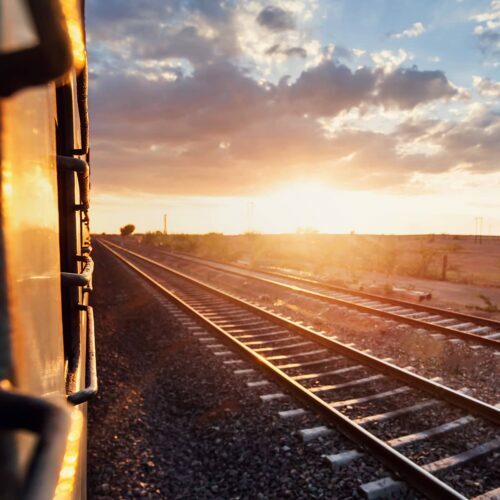 Speak with a specialist to uncover your ideal rail journey. 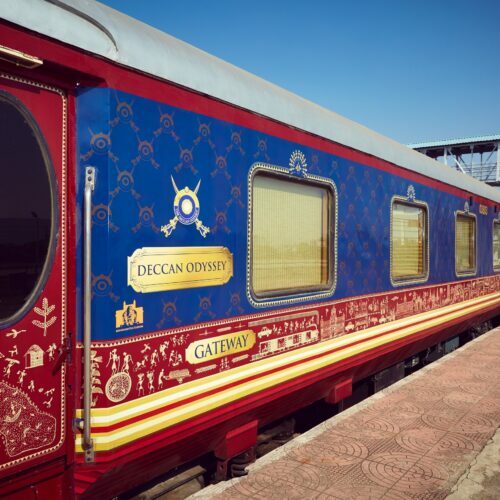 The Deccan Odyssey comprises of 21 royal coaches. There are four Presidential Suites each complete with a bedroom and extensive private living areas. Each of the passenger cars has four spacious cabins providing an average area of around 9sqm. The cabins are well furnished with wall-to-wall carpeting, wardrobe, safe and en suite bathroom. You can choose from a king-sized bed (1.52m x 2.08m) or twin beds (0.86m x 2.08m). The cabins are attended by individual butlers who take care of your every need and available at your disposal round the clock. You can even choose your own private excursions away from the crowds. Fine dining is a highlight of every lap of your journey. Indian and Continental dishes prepared with finest ingredients whipped up by the experienced residential chefs in both of the two restaurants and bar. The passenger cars are designed with ample areas to socialise, read and rejuvenate. There is even a Spa where you can pamper your soul with a rejuvenating body massage. 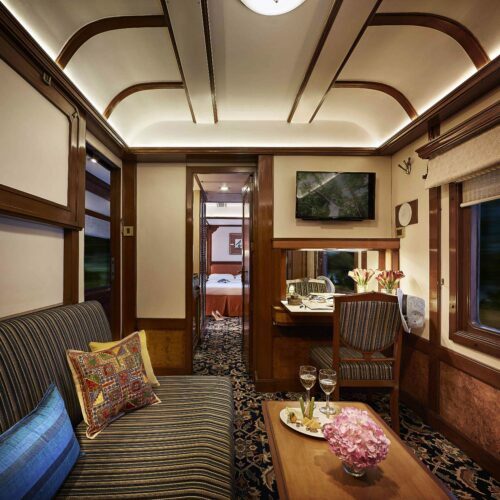 Ripe with romance, adventure and style, each luxury rail journey on the Deccan Odyssey is one-in-a-lifetime experience.